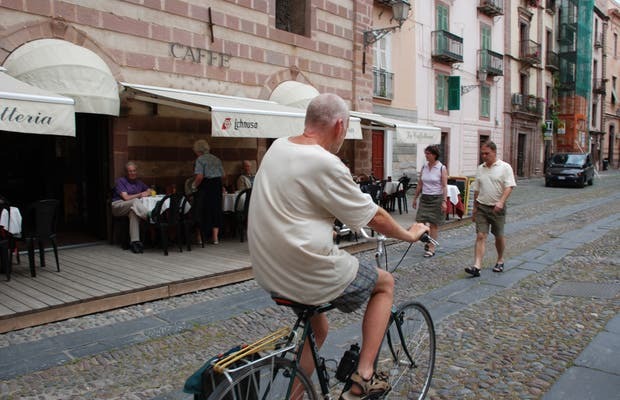 In Sardinia, you'll be surprised how many bikes you see on the roads, the countryside and the cities. Though it cannot compare to the Netherlands, the Sardinians and tourists take advantage of the wonderful nature of the island for walks, especially in the surrounding forests and beaches. It is not uncommon around campsites for people to offer a bike ride. Many caravans carry bikes in the back, and the truth is I'm a little jealous for if you're short on time and you cannot rent one. Speaking of renting, the city of Alghero offers various options, and I suppose other towns and cities do as well.